Trent has worked in Townsville as a Podiatrist since 2001. He established Fit Feet Podiatry clinic in Townsville in 2005 and moved into the Sturt Street location in the Townsville CBD shortly after. In 2013, Trent joined the My FootDr team (formerly Balance Podiatry) and opened a second clinic in November 2015 at Willows Shopping Centre, Thuringowa. He oversees all Podiatrists in the Townsville area, helping to mentor many of our new graduates. 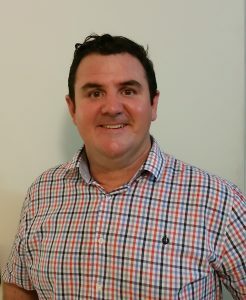 Trent has a passion for the profession having previously been president of the Australian Podiatry Association (Qld) and currently a board member of ANZPAC (Australian and New Zealand Podiatry Accreditation Council), which oversees university accreditation and overseas skills assessments for podiatrists immigrating to Australia. Trent has a strong interest in sports injuries and biomechanics stemming from a long career as a rugby player in Townsville. He remains closely connected to the Townsville community coaching 1st grade in the Townsville District Rugby Union competition and the Townsville Brolgas men’s representative team.